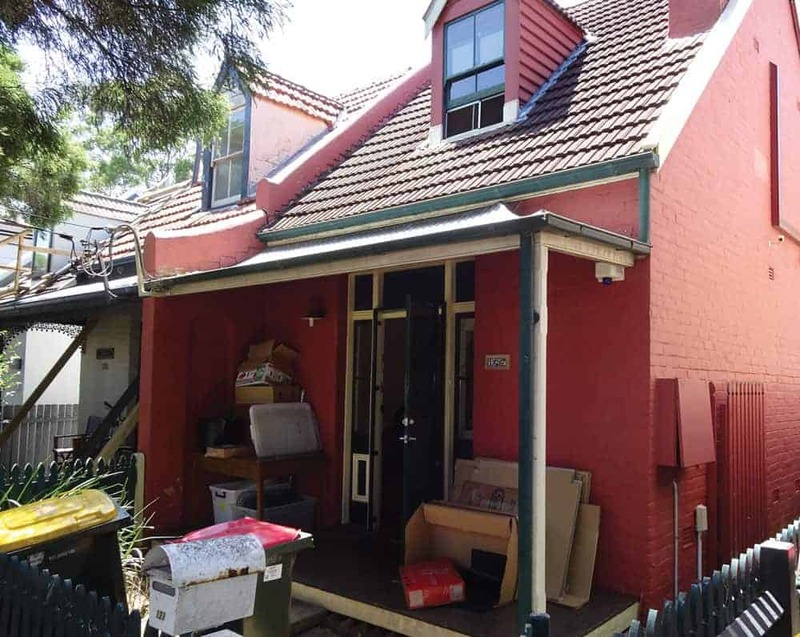 Constructed at the turn of the century with a common party wall dividing two residences, this townhouse is common of this type in Newtown, Sydney. Over the course of a year, the residents living on both sides of the party wall observed movement but thought nothing of it. Out of the blue, the power mains on one side of the party wall erupted in a shower of sparks and exploded into a fire. The Newtown fire brigade came and put it out quickly. Alarmed by the severely deformed shape of the party wall, the fire brigade called a local builder who stopped the wall from shifting any further with temporary prop supports. We were eventually called for a more permanent solution. Upon our arrival, we observed the severely misshapen party wall and began analysis. 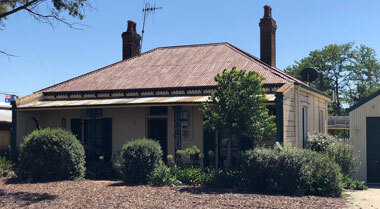 Our investigation led us to find a disconnected drainpipe underneath the verandas outside the townhouse. 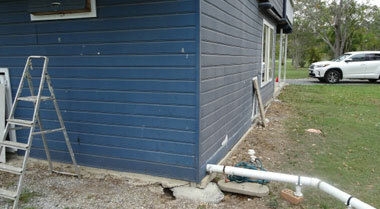 The pipe had gone unnoticed and water had been seeping into the soil underneath the Newtown townhouse for years. 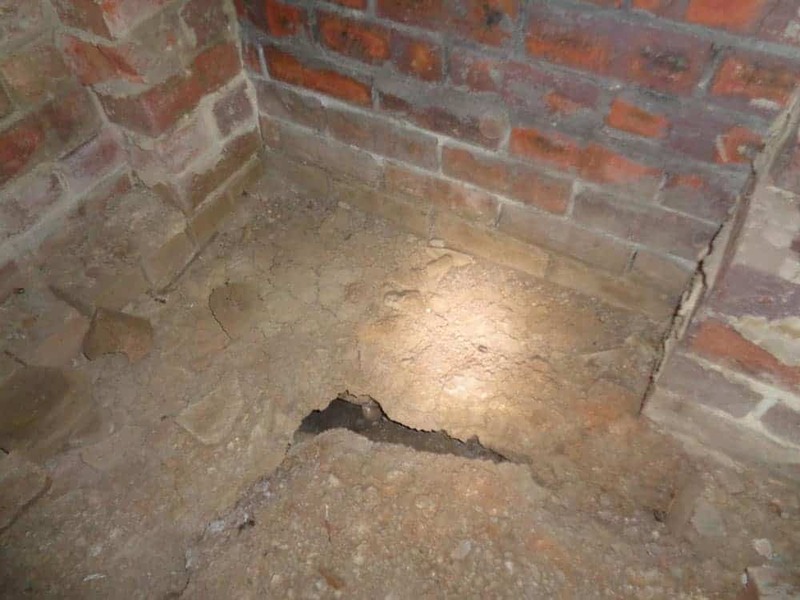 The water had pooled, eroded the soil and created voids underneath the party wall causing it to shift suddenly. 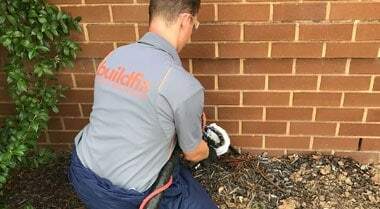 We determined that the fire had started because the shifting party wall had dragged electrical cables that were connected to the power mains. As the ground upon which the party wall sat was so unstable we took to fixing the Newtown townhouse’s foundations first. We injected our own unique ground stabilising solution, GeoPoly™ into the voids created by excess water from the disconnected drainpipe and into the soil itself. This firmed up the ground beneath the party wall. Afterwards we used our HelicalBar™ systems to reconnect the internal party walls to the external walls of the townhouse to ensure further stability. The residents on both sides of the Newtown townhouse had been told that repairs were going to be hugely expensive and take months. 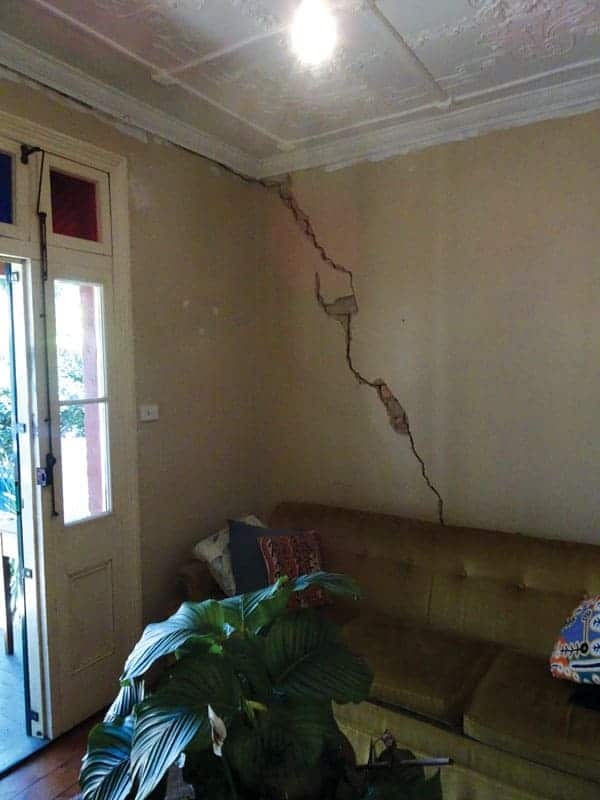 They were informed that because the party wall was so unstable, it would need to be torn down and the footing of the entire townhouse re-laid. However, we were able to stabilise the footing and foundations of the townhouse without moving a single brick -- within one day. We also completed structural repairs to the party wall the very next day. The party wall dividing the two residences of this Newtown townhouse now sits strong and stable.